Since the Superbowl is quickly approaching I thought that I would share some manly cakes with all of you! 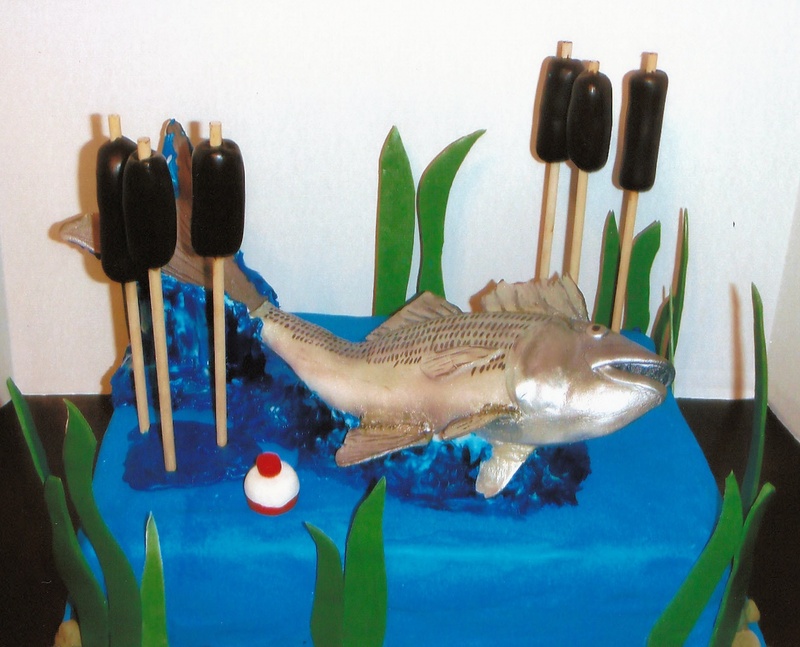 First up is a fishing cake. The groom really likes fishing and the bride wanted to surprise him with a cake. The fish is a rock fish and was made to look like it was jumping out of the water! Next up is a VW bus cake for a groom that loved his bus and the beach! The bus and the sand are all edible. The next cake was made for my brother's wedding. My brother loves everything Beatles so I designed a Yellow Submarine themed cake! All the figures were made by my wonderful husband and sculpted after characters from the movie. The characters were made from polymer clay so that my brother could keep them. Lastly, we have a football helmet cake for a Cardinals fan! I hope this put you in the mood for some football this weekend! (Even though the Cardinals won't be playing)! May the best team win (hopefully that team won't be Pittsburgh but hey I'm not bias)! Hope you enjoyed all of these man influenced cakes!